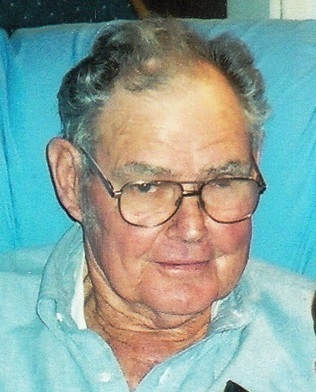 Funeral services for James “BoBo” Nobles, 88, of Archibald, LA were held at 1:00 PM, Wednesday, December 5, 2018 at the First Baptist Church of Archibald, LA with Bro. Brandon Penton and Bro. Dewayne Achord officiating. Interment followed in the Lynn Cemetery, Archibald, LA under the direction of Brown-Holley Funeral Home, Rayville. Mr. James was born June 1, 1930 in Mangham, LA and passed away Sunday, December 2, 2018 in Rayville, LA. Mr. James was a member of the First Baptist Church of Archibald. He is preceded in death by parents, Alonzo and Mammie Nobles; wife, Lucille Nobles; sisters, Gladys Eubanks, Estelle Stephenson, Kathline Eubanks, and Darlene Turnage; brothers, A.B. Nobles and Emmitt Nobles; and his granddaughter, Rachel Marie Woods. Survivors include his children, Robert Allen “Rocky” Nobles and wife, Debbie of Liddieville, LA, Thomas Earl “Bubba” Nobles of Baskin, Tammie Woods and husband, Roger of Archibald, Polly Cunningham and husband, Eddie, Sr. of Archibald, and Christy Weed and husband, Bryan of Archibald; 11-grandchildren and 12-great grandchildren; sisters, Dovie Gandy of Waterproof, LA and Connie Burrows of West Monroe; and brothers, Harvey Nobles of Swartz and Ronald Nobles of Mangham. Pallbearers were his grandsons, Robert Nobles, Eddie Cunningham, Christian Weed, Christerfer Weed, Caleb Cunningham, and Logan Tharp. Honorary pallbearers were his grandchildren and great grandchildren, Billy Woods, Bennett Weed, Colton Wisner, Colwyn Faughn, Lane Faughn, Mark Allen Nobles, James Nobles, Weston Cunningham, Tyler Nielsen, Sarah Steed, Cherri Faughn, Kim Nobles, Breanna Weed, Brooklyn Cunningham, Madison Tharp, Katie Nielsen, and Leslie Nobles.